Add all the ingredients to a large bowl and mix well, coating evenly. Split mixture between 2 lined baking trays and bake for 30 min, turning once. Leave in the oven to cool. The mixture will still be a little soft when done, but allowing it to cool in the oven will dry it out and it will crisp up. When cool, store in an airtight container. 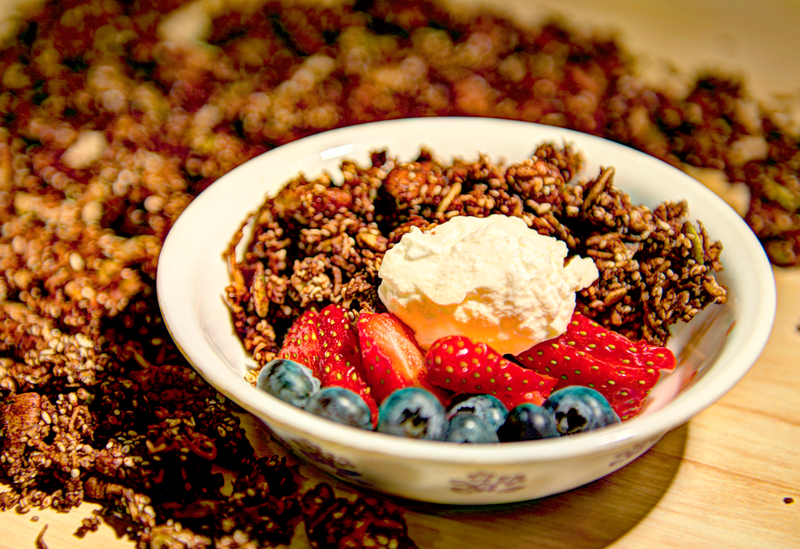 This delicious Granola can be enjoyed as is, with natural unsweetened yogurt, and fresh berries, or as a topping for berry or apple crumble.